minimized drag in order to maximize top speed. Over the years, however, as racecars started to become faster and more powerful, the need for traction, or adhesive friction between the tires and road surface during high-speed corners began to become a pressing issue. 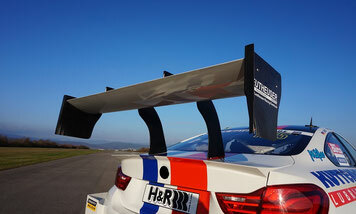 The rear wing was born. Flossmann Auto Design has several rear wings in its program - starting at a width of 120 cm up to staggering 180 cm rear wings we offer downforce for high cornering speeds. 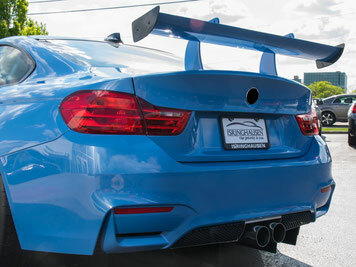 Optimized to the last detail - the Flossmann Auto Design rear wings. 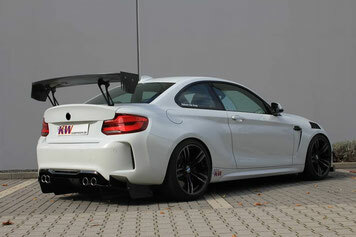 Notice: The Flossmann Auto Design rear wings fit any BMW models.